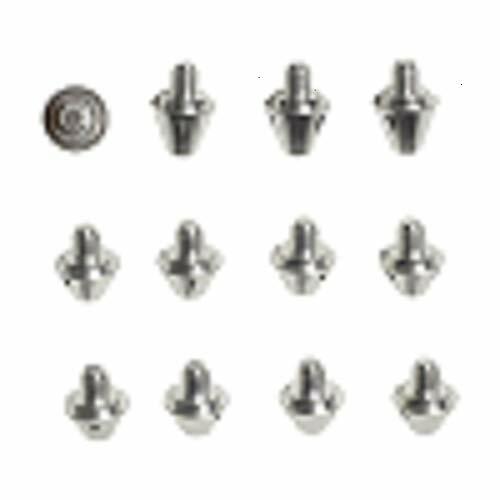 Need some spare studs for your adidas Ace or X boots? 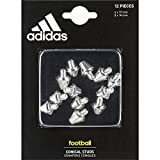 Then make sure to pick up this 12 pack of adidas Ace/X Conical 8mm + 11mm Aluminium Studs.These short adidas studs, silver in colour and made from aluminium, are optimised for soft ground boots, especially those from adidas' Ace, X and Messi collections. 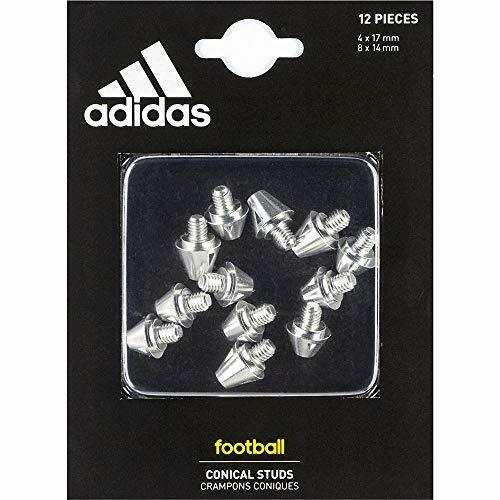 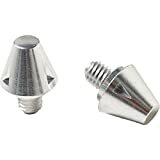 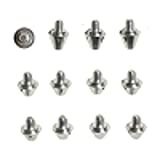 Within this pack of twelve studs there are:- 4 x 11mm Studs - 8 x 8mm Studs Excellent as replacements for worn studs, make sure you've always got plenty spare for the big matches by adding this 12 Pack of Ace/X Conical 8mm + 11mm Aluminium Studs to your kit bag.